For centuries, people have used vinegar as a folk remedy to treat various ailments. 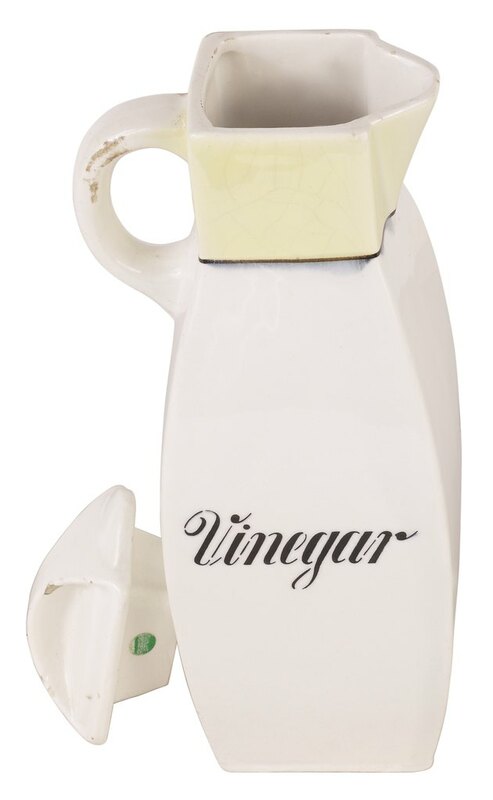 Even today, some people believe that vinegar has healing properties that include relieving pain associated with arthritis, aiding digestion and treating infections. Despite the convictions that apple cider vinegar has medicinal properties, little scientific evidence supports these claims, according to nutrition consultant Beth Fontenot. Antibiotics are drugs doctors prescribe to fight bacterial infections. Most times, your immune system can kill harmful bacteria before they have a chance to multiply and cause symptoms of infection. However, when white blood cells fail to destroy harmful bacteria invading the body, your immune system is unable to fight off an infection. If this happens, you may need antibiotics to rid your body of the harmful bacteria causing the infection. Since much about both the risks and benefits of apple cider vinegar for treating illness remains unknown, the use of ACV to treat an infection could cause problems for other medical conditions you have. Osteoporosis is one case in point. Osteopathic physician and best-selling author Dr. Joseph Mercola points out that excessive use of vinegar over time could possibly lower bone density. Doctors often use broad-spectrum antibiotics to treat a variety of infections. Sometimes antibiotic drugs only work against certain kinds of infections. Different types of antibiotics attack different strains of bacteria. Strep throat, staph infections, bladder infections and serious sinus infections are examples of bacterial infections that may require the use of antibiotics. Since no scientific evidence proves apple cider vinegar works as an antibiotic, your best bet if you think you have one of these infections is to see your doctor, who will decide whether a course of antibiotics is necessary. Depending on the type of infection, you may have to take antibiotics for several weeks. KidsHealth recommends getting prompt treatment for infections such as sinusitis caused by bacterial agents. Sinusitis and other bacterial infections can be difficult to get rid of if not treated appropriately. Antibiotics help keep the infection from spreading or getting worse. Apple cider vinegar contains malic acid -- a substance known for having anti-viral, anti-bacterial and anti-fungal properties. However, since apple cider vinegar has not been proven as an effective treatment to fight infection, there is no official standard on how much to take or for how long. While some studies examining the health benefits of apple cider vinegar seem promising, much more research is needed. Talk to your doctor before using any alternative therapies to treat illness. However, even the use of prescribed antibiotics can be tricky. If you stop taking the medicine too soon, you may only kill some of the bacteria, allowing surviving bacteria to become resistant to treatment. Although some people believe the amino acids in apple cider vinegar act as an antibiotic that prevents bacteria from multiplying, the use of ACV to treat infections may not be helpful. Claims regarding the effectiveness of apple cider vinegar in fighting infection remain unsubstantiated by clinical proof. Katherine Zeratsky, a Mayo Clinic nutritionist, also warns that apple cider vinegar may interact with certain prescription or over-the-counter medications you are taking. For example, use of ACV while you are taking diuretics or insulin can cause potassium levels in the body to drop too low. Hypokalemia or low potassium can cause muscle weakness, cramps and irregular heartbeat. Severe hypokalemia can lead to arrhythmias that increase your risk for heart failure or stroke. Will Apple Cider Vinegar Treat a Bacterial Infection? Can You Take Probiotics With Clindamycin?